For more information about Endodontic Retreatment or to schedule a consult with Dr. Horalek, please use our Appointment Request form or call our endodontic office in Raleigh, NC at North Raleigh Endodontics Office Phone Number 919-256-3996. 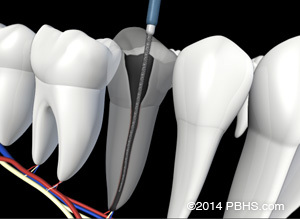 The crown or restoration was not placed within the appropriate amount of time following the procedure (leakage). Once retreatment has been selected as a solution to your problem, the doctors will reopen your tooth to gain access to the root canal filling material. This restorative material will be removed to enable access to the root canal. The doctors will now clean your canals and carefully examine the inside of the problematic tooth. 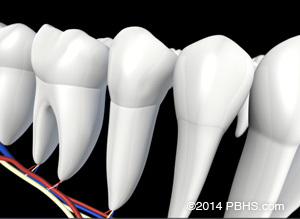 Once cleaned, doctor Horalek will place a filling in the tooth or repair the existing crown. If the tooth is a molar tooth, you will usually need to return to your dentist as soon as possible in order to have a new crown to restore full functionality, unless an existing crown is present, serviceable, and can be repaired. Please read our Patient Testimonials, below. Please visit the Patient Review form to leave a review about your endodontic retreatment experiences with Dr. Horalek and the Staff at North Raleigh Endodontics. Call our office if you would like more information: North Raleigh Endodontics Office Phone Number 919-256-3996.